A Course in Life recommends goat dairy over cow dairy. This is because goat dairy is much more similar molecularly than milk dairy to the human molecular system. This allows for easier digestion, and less chance for intolerance problem. Goat milk has been the favored milk source throughout history, and still i in most regions of the planet over cow milk. CapraMilk is recommended by A Course in Life as being a very convenient source of raw grass bed organic goat's milk. It offers all the wonderful health benefits of goat's milk, and also is raw grass fed and organic. And being powder it offers a wide variety of convenience. *Stated simply-CapraMilk is the number one milk recommended for use by A Course in Life. It is that good. 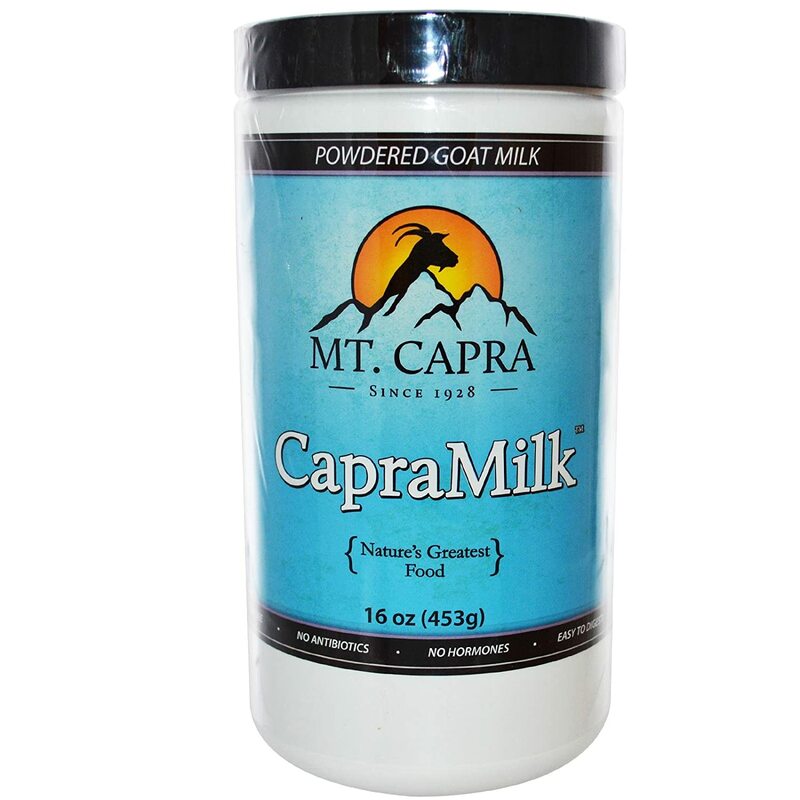 CapraMilk is a creamy great tasting, instant powdered goat-milk. CapraMilk is the ideal food for babies, children and adults. It is stunningly easy to make. And it lasts a long time on the shelf. *Always consult your doctor before taking any new food or supplement whether recommended in A Course in Life or not. It is highly recommended that you seek the guidance of your doctor before taking any of the above mentioned into your body. We make absolutely no healing claims whatsoever. *All of the statements above have not been evaluated by the FDA. Any mentioned product(s) food(s) or supplement(s), are not a medicine(s). Any product, food recommendation, or anything else stated in any way, are not intended to diagnose, treat, cure, or prevent any disease-physical or mental. We make no curative claims whatsoever, nor any ability to heal anything whatsoever. We do not we claim healing ability of anything include in A Course in Life: product, information, or anything else conceivable, and/or derived from Lazaro Angelus Lanza in any way or form whatsoever. This course and everything else in it is for entertainment purposes only.